Turkey Talk: 3 Fun Facts! 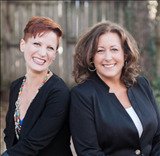 Amy and Beth wanted to take a moment to express their gratitude for the trust their clients have given to them for their real estate needs. It is their distinct pleasure to be able to do a job they love, for clients that they truly appreciate! On Thanksgiving Americans everywhere will be sitting down for a hearty meal with friends and family featuring the star of the show - the Thanksgiving turkey. Did you know these three fun facts about the turkey? 1. Contrary to popular myth, Ben Franklin did not advocate for the turkey to become the national symbol of the United States. In a private letter to his daughter, he did write that the recently adopted drawing of the bald eagle in the Great Seal of the United States looked a lot like a turkey, and in jest told her that, "He is besides, though a little vain and silly, a bird of courage, and would not hesitate to attack a grenadier of the British Guards who should presume to invade his farm yard with a red coat on." 2. The wild turkey is one of the world's fastest birds, capable of flying short distances at speeds up to 55 miles per hour and running up to 30 miles per hour. Most commercially raised turkeys cannot match the speed and ability of their wild counterparts. They are bred in such a way that their large breast muscles prevent them from flying at all. 3. The first meal eaten on the moon by Neil Armstrong and Buzz Aldrin was a turkey dinner with all the trimmings. 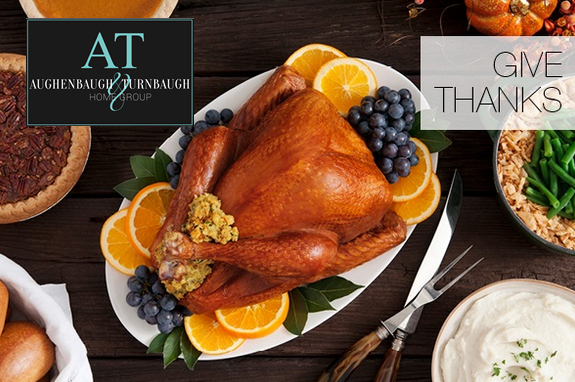 Amy and Beth hope this holiday season finds you with many reasons to give thanks!